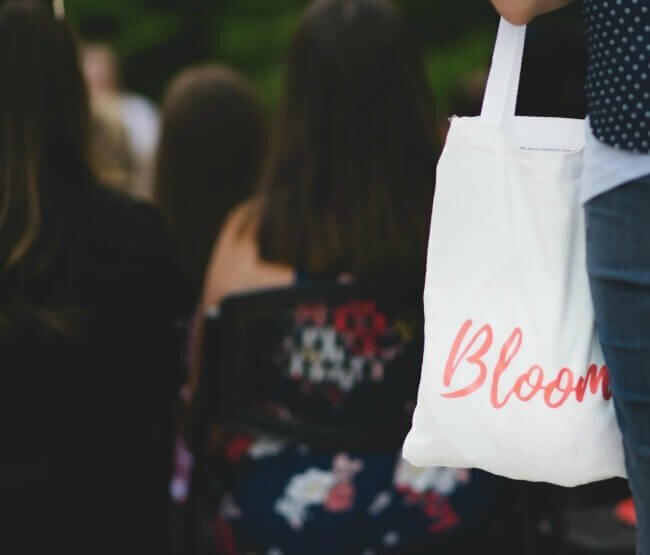 The Bloom Conference 2017 recap. This was our first conference! 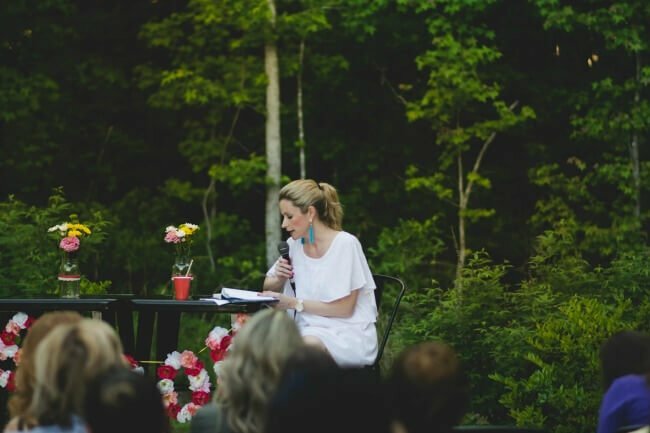 Bloom Conference 2017 was our first conference! Starting this was a big leap of faith! The longer I am a mom, the more I realize how important it is to cultivate community within moms. 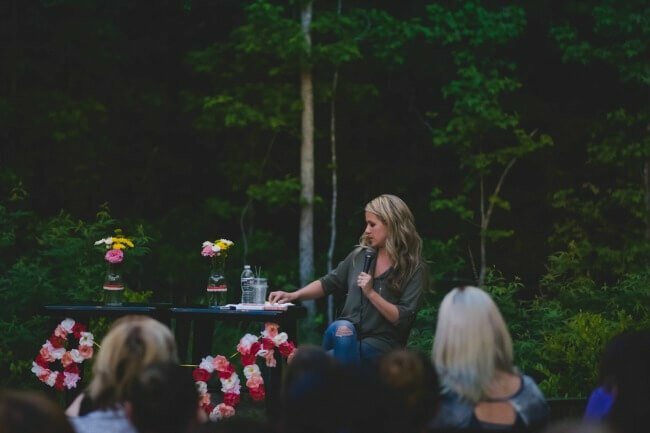 As I prayed and planned for Bloom, my hope was that moms would connect and feel a sense of community and encouragement. 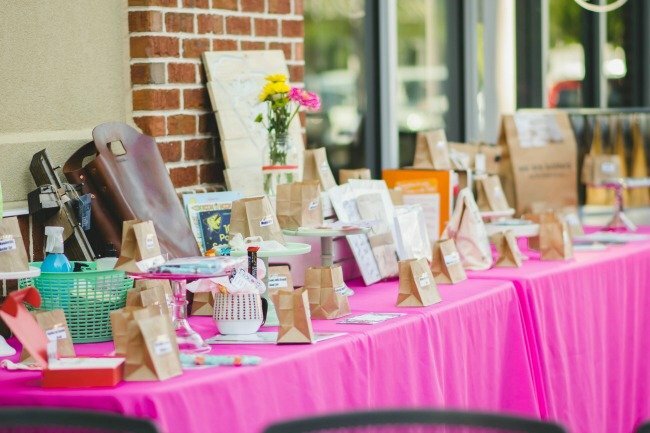 Ever since I attended a Mom’s Night in Charlotte hosted by Natalie, a seed was planted about the idea of doing something similar in the Charleston area. My husband encouraged me to go for it so I started planning. As I was talking with a friend she said she had felt challenged to water the grass right where she was in her current season. The more I thought about that, the saying, “Bloom Where You Are Planted” kept coming to mind and there the name for the night was born. As I continued to plan, shops started donating products for the night. Friends stepped up to help out and donate their time and talents. All of the photos were taken by LaVonda with LaVonda Downard Photography. Didn’t she do an amazing job?! If you are local, you need to connect with her for some pictures. As I shared about the idea for Bloom with friends many stepped up to offer help the day of and then my friend Melissa mentioned she would help with the planning if needed. Finding people that you can work well with and your gifts can compliment one another is a beautiful thing. Melissa is one of those people and I am so thankful she stepped into this adventure with me! 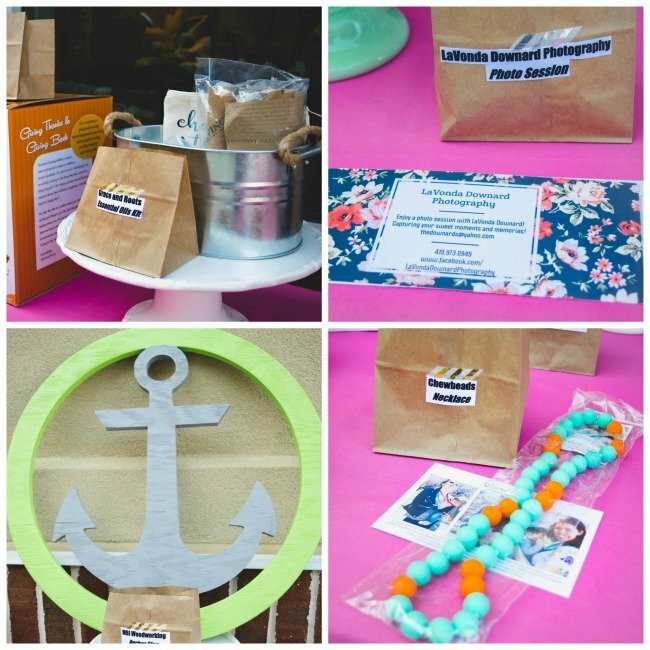 The event was held at Essentials Coffee in Moncks Corner. 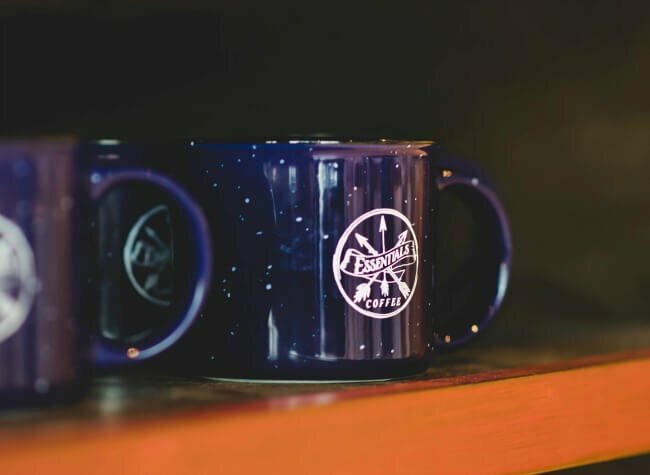 From the moment I stepped into this coffee shop, I felt drawn to it. It is beautifully set up and the coffee is incredible. I am so grateful to Ashley and Pastor Shawn for allowing us to use their coffee shop for the night. As we thought about the night, we knew we wanted to bring in some encouraging speakers. A friend mentioned Katie Crocombe and since I had recently connected with her, we decided to ask her. I also asked my longtime friend, Karla. Both girls said yes and I knew we had a winning team. Both of these girls shared such wisdom, truth, and honesty. 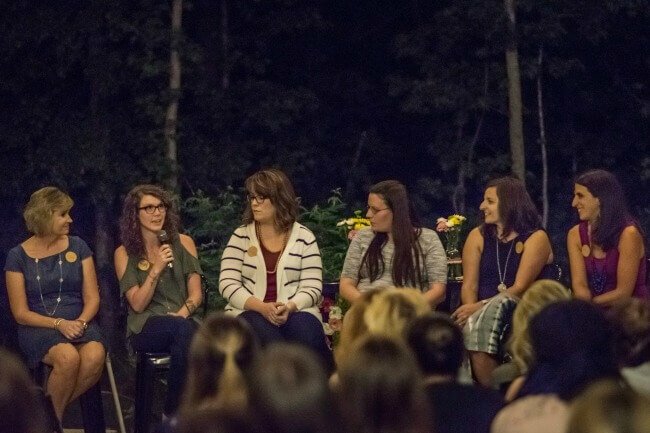 Along with the speakers, we wanted to have some local moms share how they were each blooming in their different seasons of life. These girls are all incredible and I admire them all greatly. As many of you know, I have a heart for missions and companies that are building a life for someone else. 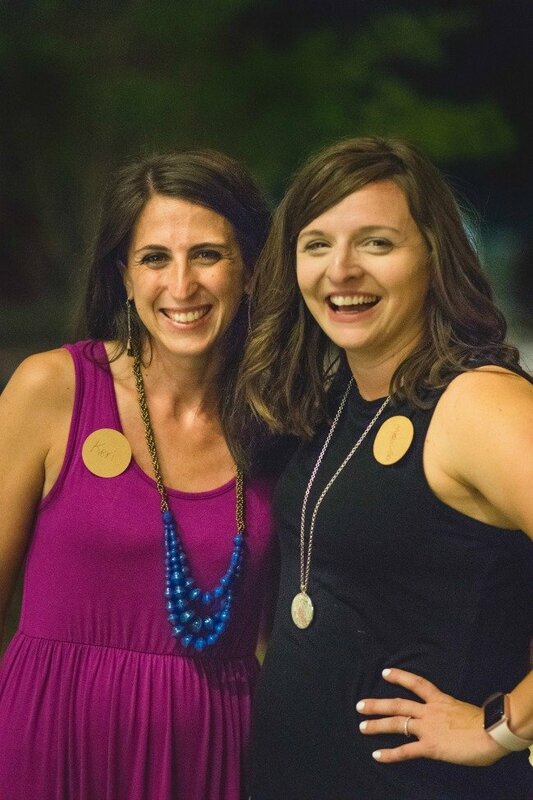 It was so exciting to have some of Melissa and my favorite shops on site that we love and support. 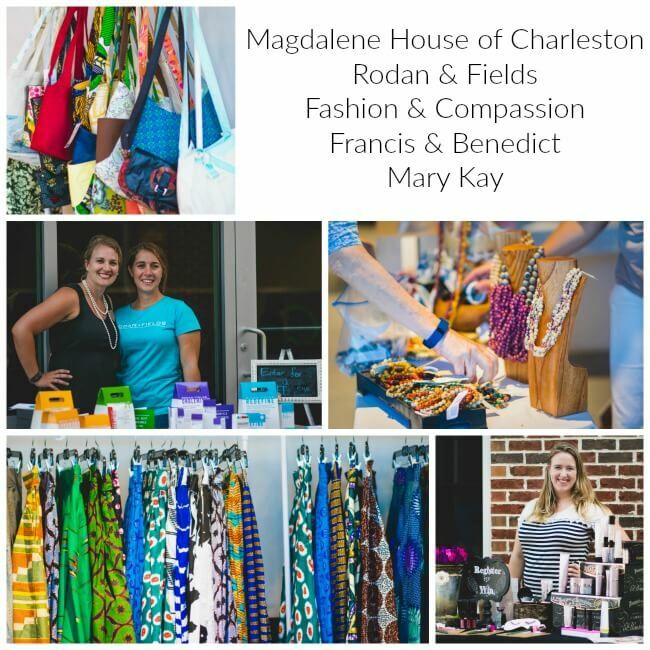 We were also able to have some ladies from Rodan & Fields and Mary Kay onsite. 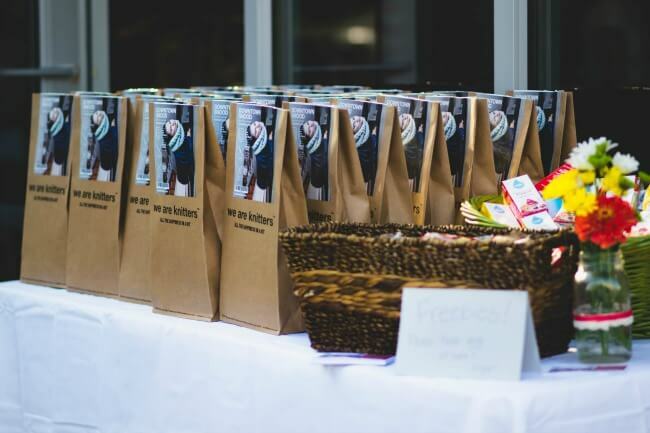 We loved being able to provide some support for these mamas! 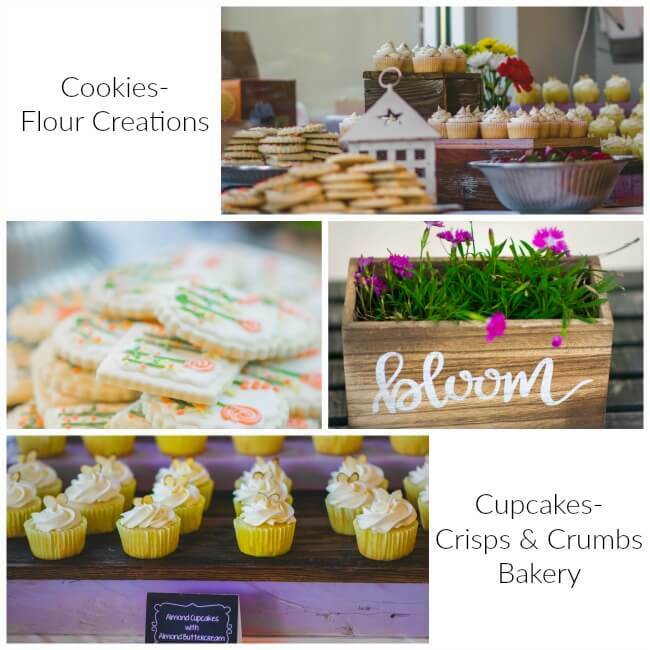 The cookies were provided by Flour Creations. Jill is my go-to cookie girl. She has a beautiful gift and with each cookie I am amazed and blown away by her talent. We also decided to add in some strawberries from Hickory Bluff Farm. This is my family’s favorite farm in the Lowcoutnry so we loved being able to have strawberries from them! If you are local, you need to connect with all three of these businesses! All of of paper products were from Zurchers– we love them! A few weeks before Bloom, I started noticing that Target Dollar Spot had some gardening themed items. My friend found the Bloom banner there and I found some of the cute containers there. Beyond that all of the rest of the decor was a combination of shopping by house and my friend Ashley’s house. 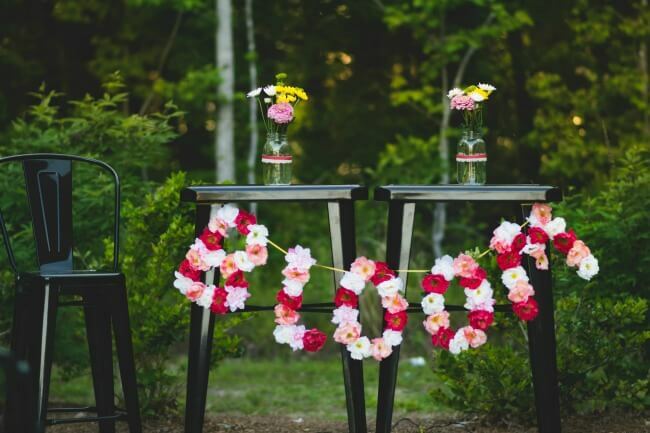 Plus, mason jars are always a win filled with flowers (thanks to Publix and Hickory Bluff Farms for the flowers). We also partnered with Books Beyond the Nest! 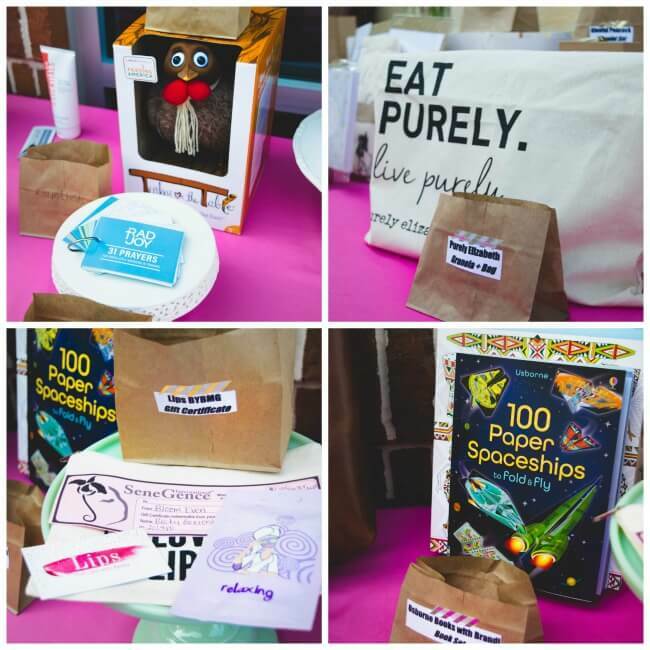 Every mama that brought a book to donate, received bonus raffle tickets. 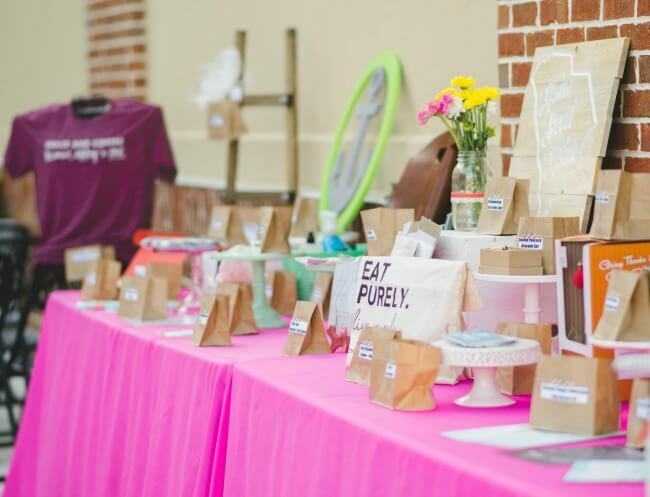 During the two workshop times, moms could choose to go to a Hand Lettering Workshop with Hannah, learn about speaking truth with Katie, do a simple chalk board craft, or shop around and fellowship. Another big part of the night was all of the amazing raffle prizes. I really wanted the moms to have some fun with this and be blessed with some lovely items. The months leading up to Bloom, our house became filled with boxes. My friends Jill, Ashley, Annette, and Melissa and my sister, Katie, all arrived early to help me set up. They took my layout of plans and brought everything together so beautifully. Bloom Conference 2017 would not have been possible without their support and help. 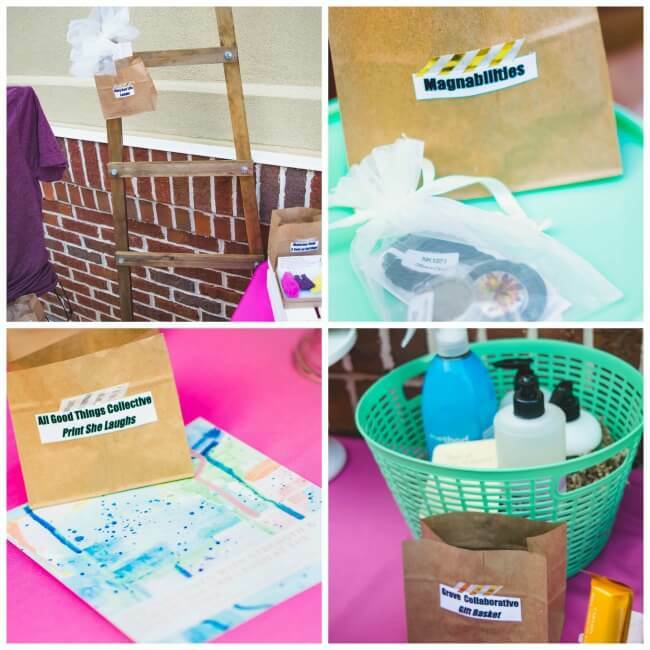 Every mom received a swag bag when she arrived! Hooray for incredible items in this bag! Melissa made these lovely bags that were filled with so many amazing things from shops. 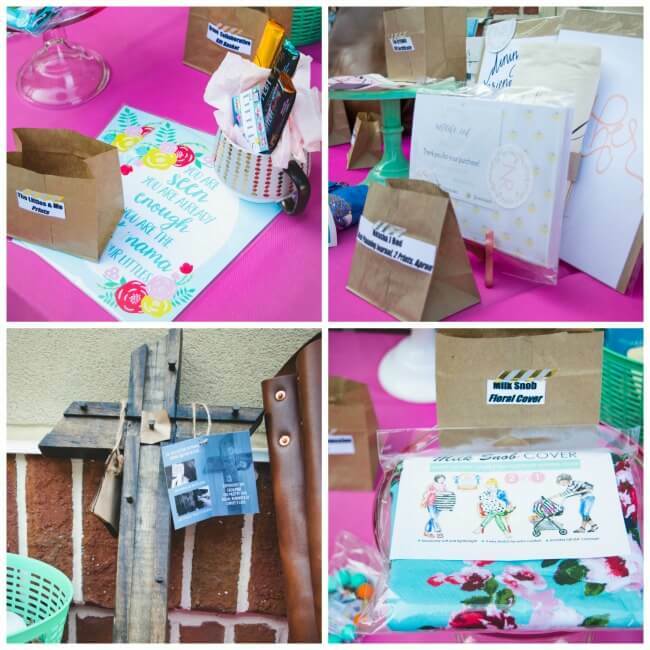 We are sharing more on Instagram what was in the bags. 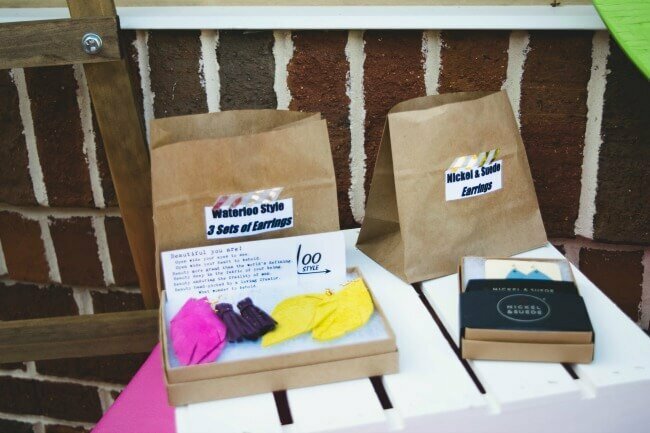 Each mom could pick up a We are Knitters Kit for a scarf. The moms loved getting this beautiful kit. 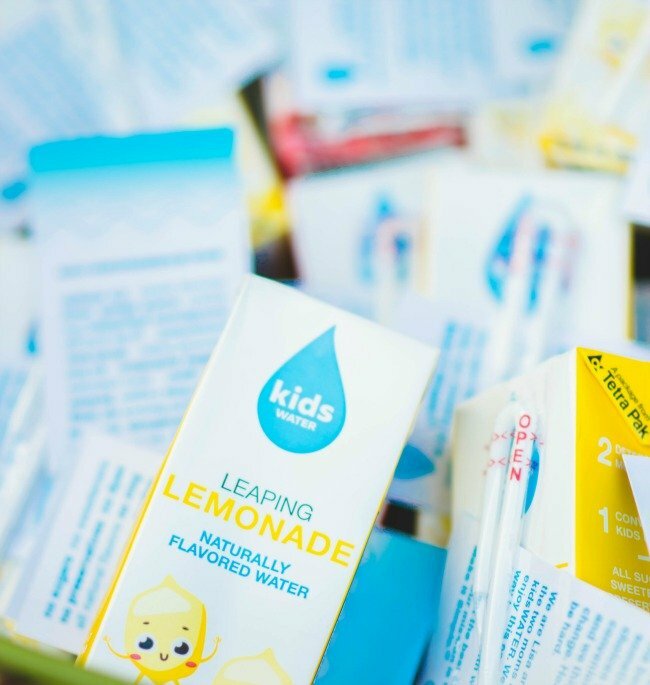 There were also boxed flavored waters from Make It Simple Kids . It was a beautiful evening that surpassed what I ever imagined. I cannot say enough the importance of first giving your plans to God and second surrounding yourself with a great community and team. This night went well because of those reasons. 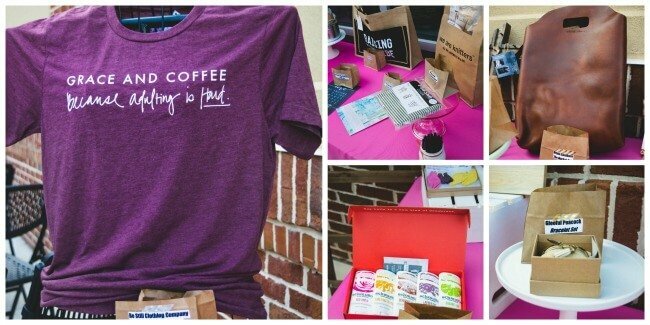 Want to start your own night for moms like Bloom? Go for it! Many times we slink back in fear, but when we step forward in faith, amazing things happen! 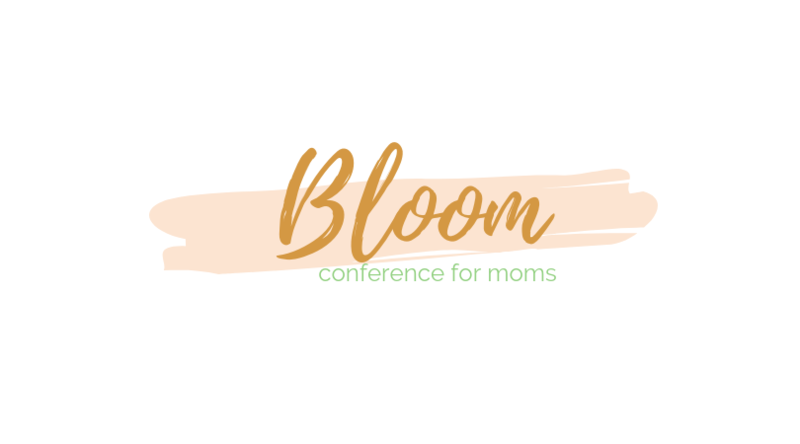 Thank you to the moms who joined us at Bloom Conference 2017! Continue to follow along with Bloom on Instagram and hope to have you join us in 2018! 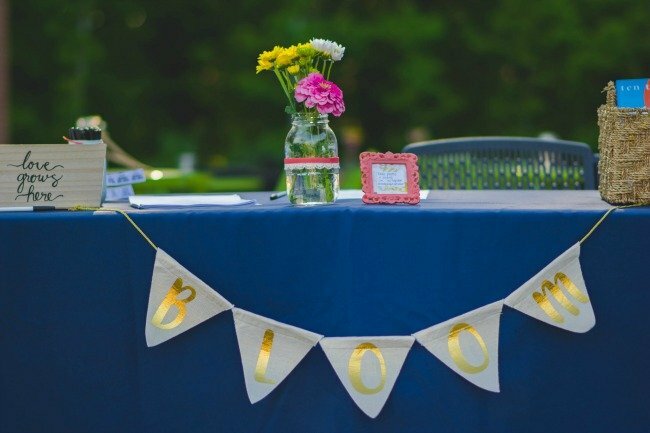 Feel free to contact us if you would like to be part of Bloom!